Digital River Ireland are the actual company that 'sells' you anything you buy....several times by all accounts. It's hidden in the small print at the bottom of the page the link goes to. Nothing good to read about them. Good luck. DON'T BUY FROM HERE UNLESS YOU READ ABOUT THIS COMPANY FIRST. …DON'T BUY FROM HERE UNLESS YOU READ ABOUT THIS COMPANY FIRST. 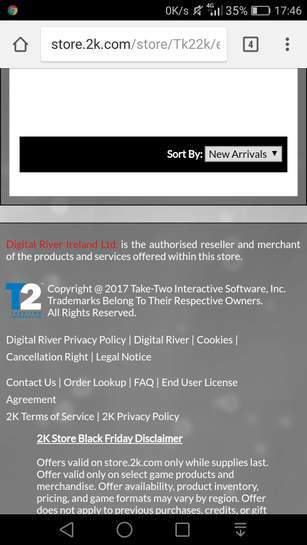 DigitalriverirelandDigital River Ireland are the actual company that 'sells' you anything you buy....several times by all accounts. It's hidden in the small print at the bottom of the page the link goes to. [Image] Nothing good to read about them. Good luck. Except I didn't have a problem when ordering from them. Expect I didn't have a problem when ordering from them. Thank you . I think I will leave it then. I paid for it once. I hardly think a company like 2K would use a company that charges 20 times. I paid for it once. I hardly think a company like 2K would use a company …I paid for it once. I hardly think a company like 2K would use a company that charges 20 times. Went though on my Paypal with bogus email and phone #. Have found no way to get my money back. Don't even use the subscription product they charged me for. Email address on file bounces back invalid. Paypal would not help because they said I have an agreement. If you buy, I wish you luck. I honestly hope it's good for you. If I bought from here I would only use a pre-paid card with no tie to me personally. You paid for it once..now. Hopefully they won't treat it as a subscription which seems to be the main complaint. Keep an eye on your bank account. As for a company like 2K.....They use intermediaries to collect the payments for them and give a small percentage back to them as agents. These 'agents' (based in the Philippines someone said) then have your bank details etc. I don't know how long they have been employed by 2k, do you? You paid for it once..now. Hopefully they won't treat it as a subscription …You paid for it once..now. Hopefully they won't treat it as a subscription which seems to be the main complaint. Keep an eye on your bank account. As for a company like 2K.....They use intermediaries to collect the payments for them and give a small percentage back to them as agents. These 'agents' (based in the Philippines someone said) then have your bank details etc. I don't know how long they have been employed by 2k, do you? 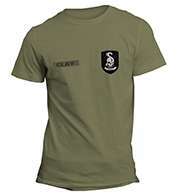 A lot of negative comments on this company so I thought I’d let you know that as they could only part complete my order they have very quickly refunded the amount for the part of the order not delivered. Quite good service I would say. I’ve waited much longer for refunds from much larger better known companies.